Evita premiered in 1978 in London’s West End, making a star and legend out of Elaine Paige who starred in the title role. 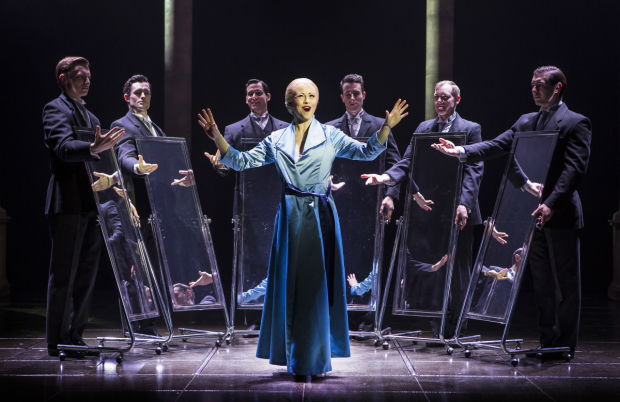 Since then such woman as Patti LuPone, Siobhán McCarthy, Madonna, Louise Dearman, Rachael Wooding and Elena Roger have tackled this mammoth of a role. And now its Emma Hattons turn, fresh from her acclaimed run as Elphaba in the London production of WICKED. And not only does she knock it out of the park, she knocks it out of this world! 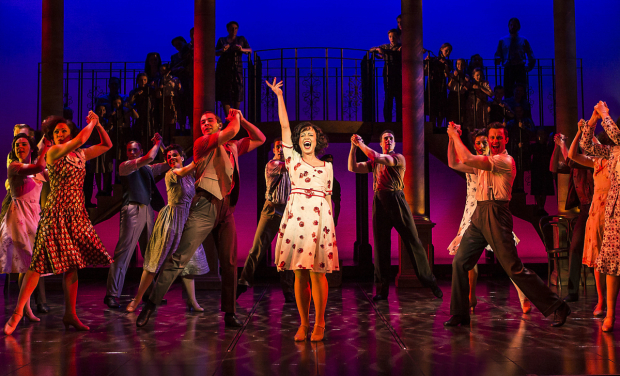 Emma Hatton brings so much to the role of Eva, at the start she sounded a little too poppy for the score but as the story went on she sang beautifully. Her ‘Don’t cry for me Argentina’ was simple but stunning. I’ve never experienced tension like that in a theatre. You could hear a pin drop. And for such a tiny lady, she sure has a huge stage presence. Make sure you catch this girl in this show, a performance I’ll remember for a long time. 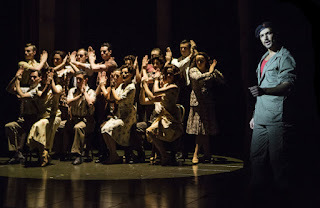 Italian actor Gian Marco Schiaretti takes on the role of Che and he is a huge improvement from the last Che I saw (Marti Pellow), at least this time I could actually understand what he was saying. At times I thought his gestures were false and not believable but all can be forgiven when you have the vocals that man has. Someone I hope we see more from in this country. Matthew Wright is the designer on this show and his set is just beautiful, it add such class to this production and paired with the lighting design (by Mark Howett) its brings a modern but true to the period style that adds so much beauty to the overall production. amazing support to the leads throughout and they produced a slick and tight performance. I’d love to make special mentions but in all honesty, every single one caught my eye at some point. The true stars of this show. The story telling is magnificent in this production, musical theatre at its finest. This production may have been touring for years but this cast has brought a freshness and a new energy to the story. They are some of the most talented people I’ve ever seen on stage and they bring so much life to this musical. The 1970’s hit has never felt so new.